Yet again Pageflakes is down, and has been since yesterday. Some say it will come back. I hope so. I have, however, re-done (and expanded considerably) the page for UK legal news and Law Blogs using Netvibes, which I prefer. I will gradually replace the US, Canadian, Australian and other Pageflake pages I did. Unfortunately, this means I will have to visit about 500 blogs. If Pageflakes comes back – great – but I will, in any event, replace all my blog feeder pages. Have a look at the new Netvibes page for all the major UK Blawgs I have been able to find + news and a few journals (I am still searching for Uk law journal feeds). There are tabs on the Netvibes page for Law news and journal pages. 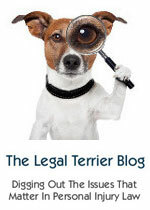 The URL is to the main Law blogs section. It takes a bit of time to load. There are a lot of UK blogs coming through now and I had not picked some of these up on my Pageflake page. IP ADR and Settle it now. If you would like to receive the weekly newswire email – have a look at the first issue and sign up here. I despair of my brother Charon QC sometimes. I sit down to a glass of vodka and lime the other morning to read The Lawyer online and find that he is wasting yet more time (quite apart from the time he wastes on Twitter) by writing asinine captions to a picture of fellow academic, Peter Crisp, Dean and CEO of BPP Law School. Be that as it may… I have spent much of my life in obfuscation; writing books, articles and monographs designed to challenge and baffle. Generations of law students have left my charge with little understanding of the law, let alone its subtleties and complexities. Turning to matters of greater importance. The law students of Cambridge University, privileged and assured of a place at the top of the bottom rung of the legal profession when they graduate, have been protesting, quite reasonably, about the conflict in Gaza and Israel. The only problem is, instead of travelling to London to protest or protest using the power of Twitter or the blawgospehere, they decided to occupy the Law Faculty and this has led to a few problems with the University authorities. They have a blog – and you may, therefore, consider whether their arguments are reasonable or unreasonable according to your political persuasion and taste. For my part, I make no comment save to say that protest is always good, but the methodology is important for it to have some effect. And if that is not an example of ‘obfuscation’ I do not know what is. The City continues its relentless drive to ensure long term profitability for the partners by facing the stark reality that the credit-crunch has affected the the flow of work and fees. Linklaters joined other Magic Circle and large City firms by announcing today that it is to shed 120 associates. Partners are also going to be asked to leave. Trainees are not affected. Their training contracts are regulated by the SRA and SRA permission, as I understand it, is required before a trainee can be given the chop. I stand to be corrected if I have the wrong end of the stick on this latter point. My brother, yet again demonstrating his ability to reduce everything to a ridiculous joke, commented on the very serious matter of Lords allegedly misusing their position and allegedly taking backhanders by writing a frivolous parody Lord a Leaping. The fact of the matter is that this is a serious matter and it would appear that we don’t have any serious powers to deal with the eventuality of a peer succumbing to mammon and taking cash for inappropriate behaviour. The Times reports that the sanction appears to be limited to ‘naming and shaming’ – which is all very well, but Lord Archer still hangs onto his ermine after serving a prison sentence and if these four peers are found to have acted inappropriately by the Star Chamber being convened, then it appears that they will also hold onto the ermine trimmed dressing gowns. Well… as Charon QC would say.. there we are and… on that note… it is goodnight from me. FREE NEWSWIRE FROM INSITE LAW. I am planning to write a weekly newswire covering legal news, interesting posts from law blogs, podcasts, law reports and other useful information for lawyers each weekend covering the events of the preceding week. It will be short, sharp and to the point – no frills, no pics… just hard, useful information. If you would like to see what the Newswires will look like – click here for the first issue. Subscribers will receive the Newswire each Weekend – and the newswires will be archived on Insite Law during the folowing week. Weekly email newswire from Insite Law – short, sharp and to the point. If you would like to receive a weekly newswire please sign up. Your email details will, of course, be confidential and will not be sold to spammers or, indeed, anyone else. Today I am talking to John L. Kane , a senior District Judge in Denver, Colorado, United States. John has very robust views on the War on drugs and the antiquated Rules of Civil Procedure and the extent to which judges have stopped adjudicating in courts in order to meet the Tsunami of data generated in this information age.